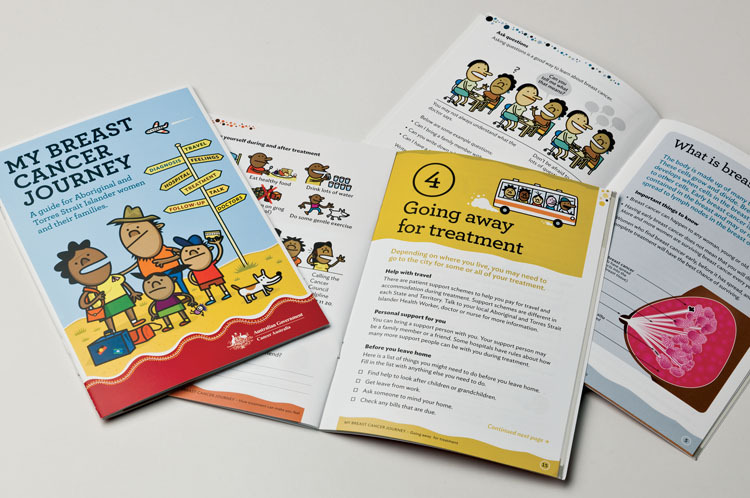 We worked closely with Cancer Australia to design a range of culturally sensitive materials aimed at reducing mortality among cancer sufferers in indigenous communities. 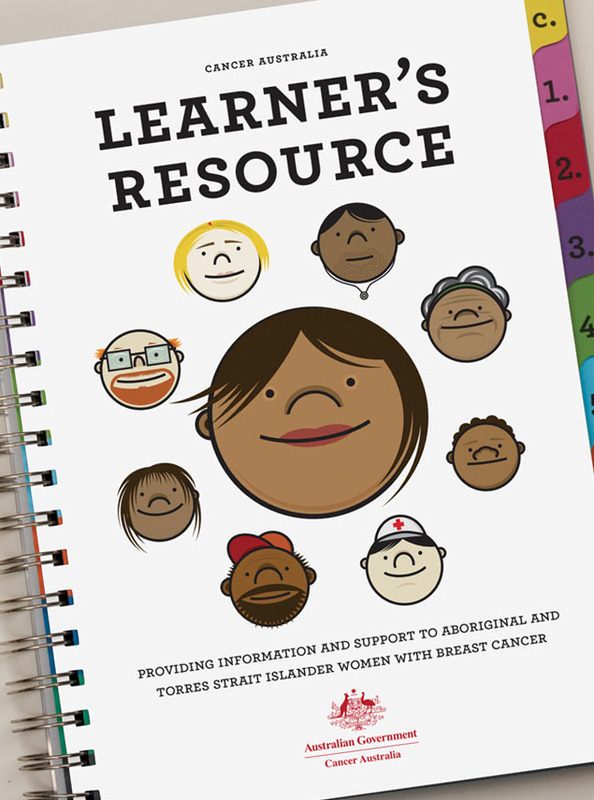 These included training resources for health professionals working with indigenous women with cancer in remote communities; and a guide describing the cancer journey for indigenous women and their families. 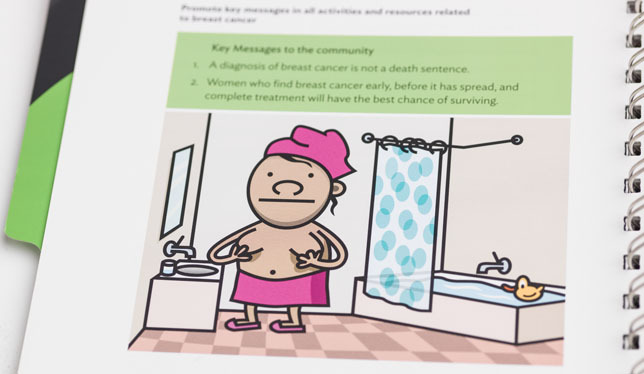 We used illustrations and diagrams to produce designs that were engaging and clear. 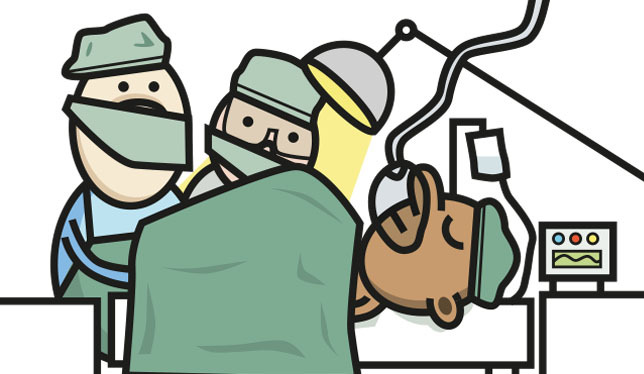 Focus testing provided us with culturally appropriate tweaks.